Home / Funko / Autographed Funko Pops! 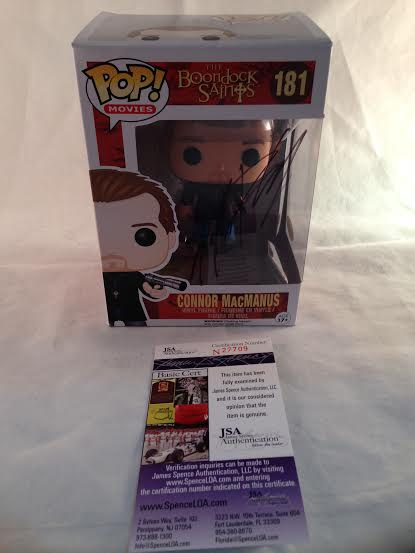 Up for sale is this awesome Sean Patrick Flanery signed Funko POP! The Boondock Saints Connor MacManus figure. This item comes brand new with a free POP protector as well as with its JSA certification ticket. Check pictures for more details. Check out my other auctions ! Up for grabs is this amazing Chucky Childs Play 2 Brad Dourif Autographed “F#ck You” CHUCKY Funko Pop Comes as is so please see pictures for more details on condition. A great addition to any collection. comes with a FREE POP PROTECTOR!! 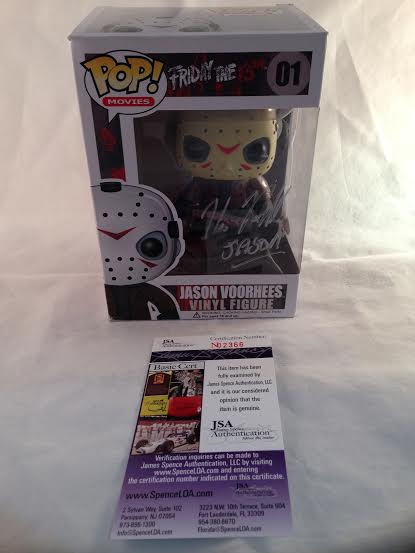 Up for grabs is this amazing AUTOGRAPHED funko pop. Comes as is so please see pictures for more details on condition. A great addition to any collection. comes with a FREE POP PROTECTOR!! Up for grabs is this Amazing! Chucky Childs Play 2 Brad Dourif Autographed “Wanna Play” CHUCKY Funko Pop, Comes as is so please see pictures for more details on condition. A great addition to any collection. comes with a FREE POP PROTECTOR!! 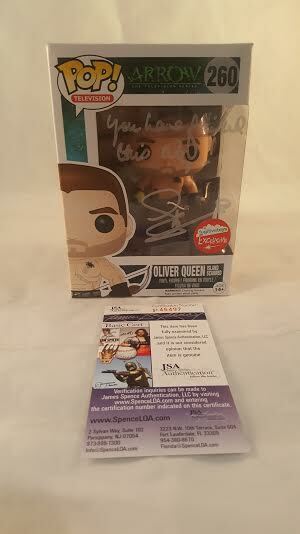 Up for grabs is A CW Arrow Oliver Queen Fugitive Toys Exclusive JSA Certified Stephen Amell Autograph Funk Pop. Figure comes brand new with a Funko protector case, and is a great addition to any collection! Up for grabs is Funko Pop Gotham Signature JSA Certified David Mazouz Figure comes brand new with Funko protector and is a great addition to any collection! 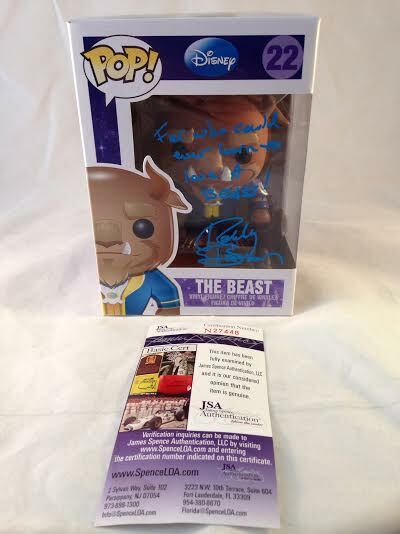 Up for grabs is this amazing Disney Beauty and The Beast Bobby Benson JSA Certified Signed Beast Hot Topic Exclusive Funko Pop. Comes as is so please see pictures for more details on condition. A great addition to any collection. comes with FREE POP PROTECTOR!! 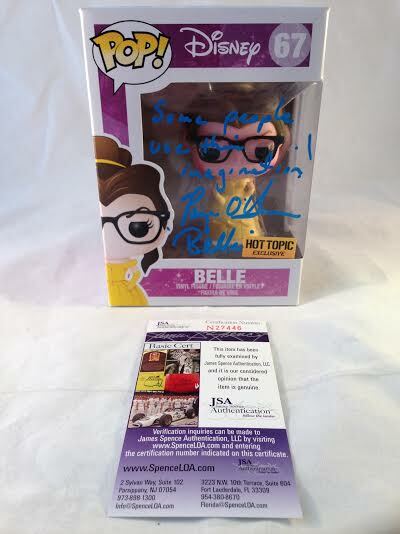 Up for grabs is this amazing Disney Paige O’hara Beauty and The Beast Signed JSA Certified Belle Hot Topic Exclusive. Comes as is so please see pictures for more details on condition. A great addition to any collection. comes with FREE POP PROTECTOR!! Up for sale is this awesome Benjamin McKenzie signed Funko POP! Gotham before the legend James Gordon figure. This item comes brand new with a free POP protector as well as with its JSA certification ticket. Check pictures for more details. 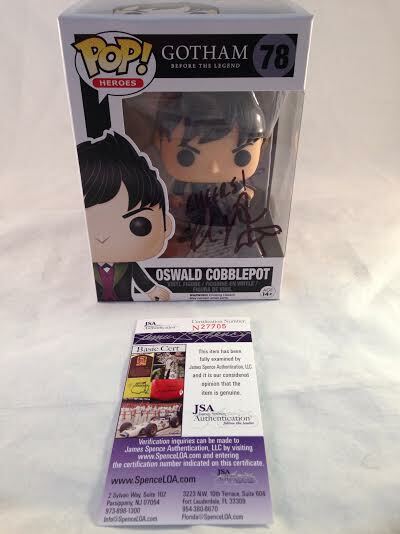 Up for grabs is Funko Pop Gotham Penguin JSA Certified Robin Taylor Autographed Funko Pop comes brand new with Funko protectors and is a great addition to any collection! Gremlins Zach Galligan Autographed GREMLIN Funko Pop. 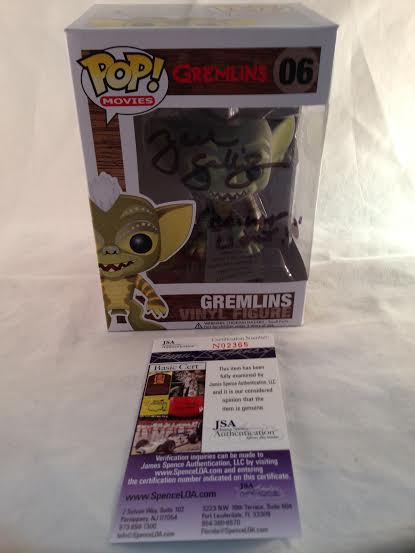 Up for grabs is this amazing Gremlins Zach Galligan Autographed GREMLIN Funko Pop. Comes as is so please see pictures for more details on condition. A great addition to any collection. comes with a FREE POP PROTECTOR! !